I’m Margaret Willis. Welcome to vintage heaven. Our beautiful shop has been in Columbia Road, Bethnal Green, east London, for over a decade. The famous flower market on Columbia Road, in east London draws thousands of visitors from all over the world every year. We also have a loyal following of locals and over the years we have supplied various businesses including Shoreditch House, Pizza East and The Ned. 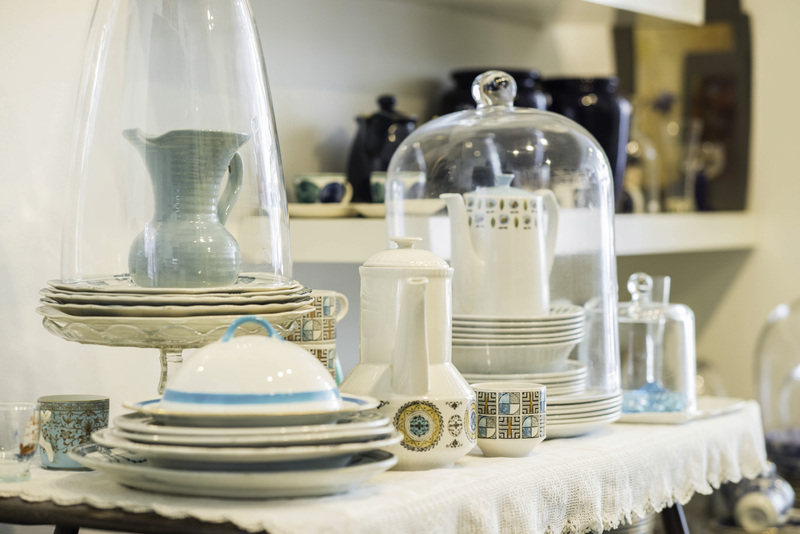 Our vast array of lovely vintage china, glass, fabric and kitchenalia includes famous brands such as Woods Ware, Kathy Winkle, Denby, Johnson Ware, Poole, Sanderson, William Morris, Kilner, Jacobean glass, Old Hall, Pyrex and lots of West German vases! We have small amounts of furniture and soon we will be stocking lots of old terracotta flower pots and vintage garden tools. A teapot's for life, not just for Christmas!